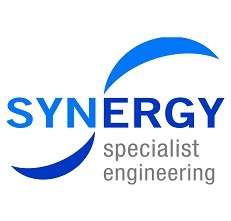 Tjarieinfokerja.blogspot.com - PT Synergy Engineering adalah salah satu perusahaan Konsultan Teknik yang mengkhususkan diri dalam memberikan pelayanan teknis untuk minyak utama & Gas perusahaan di kawasan Asia Pasifik. adalah sebuah perusahaan dengan reputasi global dan menjadi top leader di bidang konstruksi oil and gas. (Baca juga loker sebelumnya: Lowongan Kerja PT Circleka Indonesia Utama 2015). • Performing electrical calculations, reviewing and implementing government regulations and industry codes. • Well verse with ETAP software. • Performing instrument and control calculations, reviewing and implementing government regulations and industry codes. • Well verse with Intools, Instrucalc software. • Design the oil and gas production facilities for offshore installation. • Responsible for mechanical and process design including selecting and specifiying appropriate vessels, valves, and piping system for the facilities, the design must be designed in accordance with the codes and standard. • Must have a working knowledge of the codes and standards listed above and must have the principal engineer responsible for the design of more than one other project with similar process systems and must be experienced in the use of computer programs applicable to such designs. • Performing layout calculations, mechanical handling and lifting strategy, reviewing and implementing government regulations and industry codes. • Well verse with CAESAR II software. • Performs engineering design and review of pipelines, risers, subsea assemblies and associated facilities, including new installations as well as upgrades and retrofits to existing terminals and platforms. • Performing civil design, calculation, project, spesifications, reviewing and implementing government regulations and industry codes. • Project Engineer shall assist the Project Manager’s day to day works in managing all staff to ensure deliverables are produces on time and within budget. • The work shall include but not be limited to coordination of engineering technical activities, inter-discipline interfacing, preparation of scope of work, proposal evaluations, supervision of project procurement, cost estimation and coordination of all project activities involded in fabrication, installation and startup phases. • Coordinate with related engineers and related parties in developing the overall cost estimate. • Identity differences in the estimates and recommend to management the requirement of additional cost optimization studies to achieve the desired accuracy and confidence level. Semoga artikel ini bermanfaat bagi anda. Jika ingin mengutip, baik itu sebagian atau keseluruhan dari isi artikel ini harap menyertakan link dofollow ke http://tjarieinfokerja.blogspot.com/2015/09/lowongan-kerja-terbaru-synergy-engineering.html. Terima kasih sudah singgah membaca artikel ini.